Maini the man in opening Spa session, but a dissapointing race weekend. 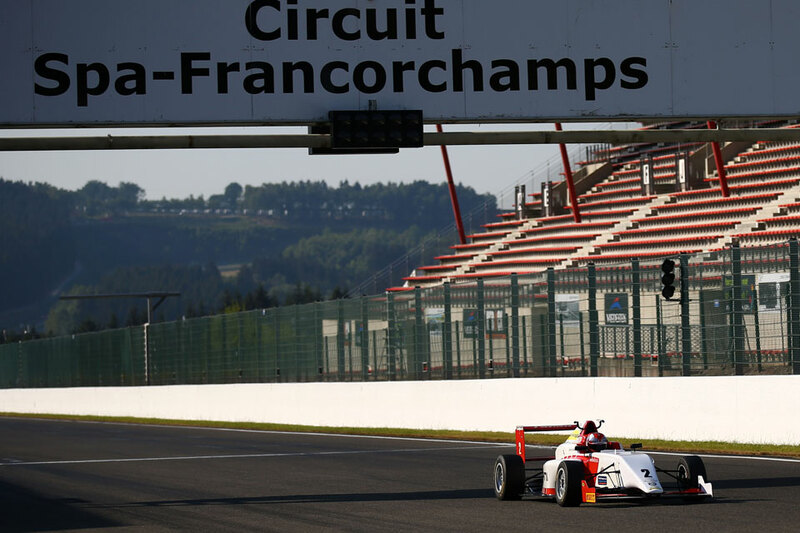 Lanan Racing's Kush Maini set the fastest time in the opening test session of the weekend at Spa Francorchamps this morning (Friday), with an effort of 2m18.698s being just over four tenths quicker than Douglas Motorsport's Jamie Chadwick. A difficult qualifying session, saw Kush Maini line up P10 and Josh Mason P18. Carlin's Jamie Caroline climbed from eighth on the grid to claim a dominant win in race two of his maiden main-season race weekend at Spa Francorchamps in the BRDC British F3 Championship. Caroline was second at the end of the first lap after passing Ayrton Simmons around the outside of Blanchimont, and then made the move on Tristan Charpentier on lap five, before streaking into the distance. Carlin's Sun Yue Yang claimed seventh after re-passing championship leader Linus Lundqvist on the last lap. Lundqvist climbed from 18th and last on the grid to take eighth place and further extend his advantage with main rival Nicolai Kjaergaard finishing 12th and Tom Gamble failing to finish. Hillspeed's Jusuf Owega and Lanan Racing's Kush Maini completed the top-10. Owega recovered well from the first lap drama to secure ninth place with a fighting drive while Maini climbed from 17th after receiving his grid penalty to round out the top-10. Double R Racing's championship leader Linus Lundqvist claimed his second win of the weekend in the final race at Spa Francorchamps.